Deep in the Jungles of Mexico's Yucatan Peninsula lays one of history's greatest treasures – the lost gold of the ancient Aztecs. Protected for centuries by fierce warriors, dense tropical terrain and a mystical curse, the gold waits for an adventurer brave enough to challenge the mighty and mystical Aztecs. Venture deep into the land of the Aztecs to seek your handsome reward. 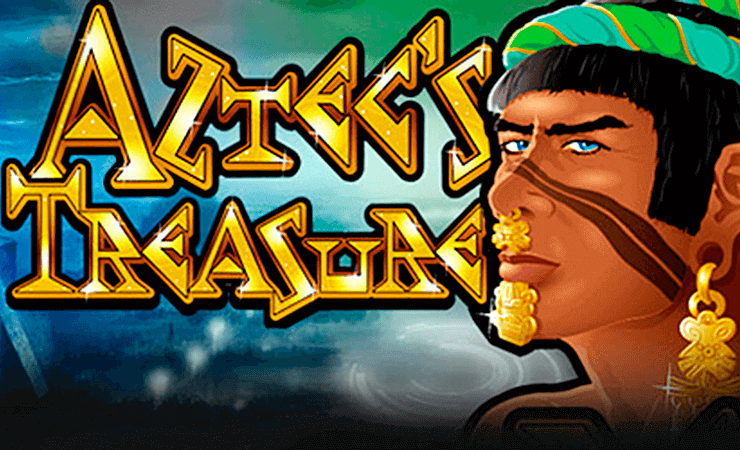 Collect sacred idols to win free games and seek out the Aztec King, the key to turning any spin into a winning spin. The Aztec's gold awaits… do you dare accept the challenge? Choose from 1 to 20 lines. The default for the game is 20 lines. Players must play lines sequentially (1,2,3,4 etc. ), they are not able to choose lines out of sequence (4,16,9,20 etc.) You can bet $0.01, $0.02, $0.05, $0.25, $0.50, $1.00, $5.00 per line. Aztec's Treasure offers one bonus feature: 3, 4 or 5 scattered Idols appearing anywhere triggers 5, 15 or 25 free games respectively. Each scatter appearing during free games awards a BONUS PRIZE equal to the triggering bet. 1, 2, 3, 4 or 5 scatters (only) appearing in the feature awards 1, 2, 5, 15 or 25 additional free games respectively. Free games are played at the lines and bet of the trigger game and all prizes except the Bonus are tripled. Aztec King only appears on reels 2, 3 and 4 and counts as the wild Symbol, he is also stacked so you can get up to 3 of him on one line. A Random Progressive Jackpot can be won at the conclusion of any game and is paid regardless of the denomination played. Progressive Jackpot wins are added to other wins. The jackpot starts at $1000, and climbs until it is hit. Usually is hit in the $4500-$5500 range, thou have see it over $15k. Some Aztec's Treasure rules. All symbols pay Left to Right except scattered Idols, which pay Any. Wins on different lines are added. Scatter wins are added to line wins. Scatter wins are multiplied by total bet. Line wins are multiplied by bet per line. Highest win only on each line. Maximum win per spin is 40,000 times bet per line.